Buying furniture for your office move can seem like a daunting task because there are so many different options available. At NorthPoint Office Furniture, we help to alleviate this stress by setting up full displays of our furniture at our beautiful showroom, located in Roswell, GA. When you visit, you’ll be able to see exactly how the furniture we offer will look in an office setting, whether it’s for a new office you’re moving to, or an expansion of your existing space. So, no matter if you’re looking to furniture an entire office from scratch in Woodstock, or you’re interested in revamping the look of your company’s interior design in Alpharetta or Sandy Springs, NorthPoint Office Furniture is the first place in the Atlanta, Georgia, area you should visit. When you’re shopping for furniture for your new office, it’s a good idea to find brands that have a reputation for designing furniture that is stylish and durable enough to last through the years. At NorthPoint, we offer furniture from some of the most reputable names in the industry, such as Cherryman, DMI, Global, HON, Martin Furniture, and more. 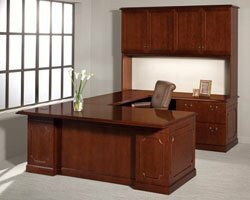 All of the furniture we offer is available in a number of different styles to fit your office’s unique layout and in a variety of beautiful finishes, including cherry, mahogany, espresso, oak, and more. To begin the process of buying new furniture for your office expansion or relocation in Alpharetta, Woodstock, Sandy Springs, GA, or any other community in Metro Atlanta, contact NorthPoint Office Furniture today.